To update the Integration Joint Board on the transformational change programme relating to Homelessness Services. Information relating to the address and presentation on 'Grasping the nettle for change - the place of integration' given by David Williams, Chief Officer, Glasgow City Health and Social Care Partnership. David was addressing the Healthcare Financial Management Association annual conference who were meeting in Clydebank on Friday 27 October 2017. To seek IJB approval for the HSCP’s children and young people’s transformational change programme for the 3 years 2018-21, including associated savings and efficiencies. To seek IJB approval for the HSCP’s older people’s transformational change programme for the 3 years 2018-21, including associated savings and efficiencies. To provide detail on the next phase of older people’s mental health inpatient retraction in South Glasgow and associated community reinvestment that are integral to the HSCP financial plan for 2017/18. To advise the IJB on the comprehensive review of Treatment Foster Care (TFC) undertaken by Glasgow Health and Social Care Partnership regarding the financial cost of the service and the impact on outcomes for young people. Also to advise the IJB on the implications of the judgement by the Employment Tribunal relating to foster carers (the claimants) with the Treatment Foster Care Service. To seek approval of the final draft Integration Joint Board Property Strategy and action plan following consultation. 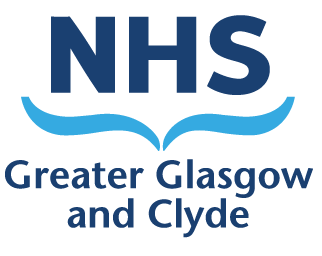 To advise the Integration Joint Board of work being carried out by NHS Greater Glasgow and Clyde to develop a Transformation Strategy for NHS services within the Health Board area.